Recycled solid silver bangle with a hammered finish. 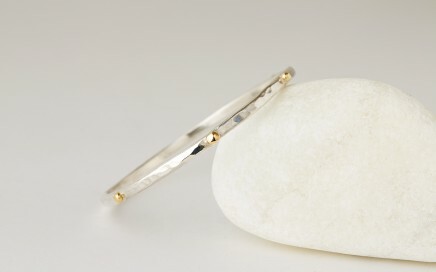 The bangles is 3 mm wide and finished with 18 carat gold dots around the bangle. 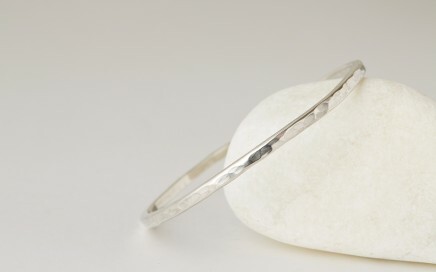 Recycled solid silver bangle with a hammered finish. The bangles is 3 mm wide. 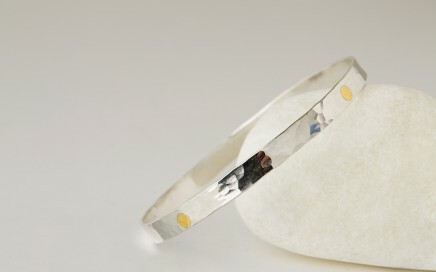 Recycled silver bangle with 24 carat Fair Trade fused gold dots.